The Technology Academy offers a growing range of RF, wireless, microwave and broadcast engineering technology courses delivered online and in the classroom. Learn from our leading technical experts and benefit from many years of real-world experience. Let us teach you the practical, relevant and up-to-date technical knowledge needed to accelerate your career. Available on-demand 24/7 wherever your location, our online courses can be taken instantly on all popular devices, including laptops, tablets and smartphones. 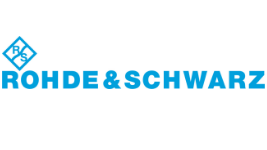 A range of UK classroom courses scheduled throughout the year and taught by industry experts in partnership with test equipment leader Rohde & Schwarz. A growing range of free technical tutorials, whitepapers and articles dedicated to those interested in RF, wireless, microwave and broadcast engineering. The Technology Academy has been approved by IEEE, the world’s largest technical professional organisation dedicated to advancing technology for the benefit of humanity, to award IEEE Continuing Education Units (CEUs) and IEEE Certificates of Completion for selected online courses. CEUs are widely recognized as the standard of excellence for continuing education programs in IEEE’s fields of interest. Endorsement reflects both the quality of technical content of our learning materials as well as adherence to IEEE’s strict criteria for educational excellence.